Rapture – Christ’s coming for His church. The bodies of dead believers will be raised; the bodies of living believers will be changed; both groups will be caught up to meet the Christ in the air (see John 14:1-3; 1 Corinthians 15:50-53; 1 Thessalonians 4:13-18). “Rapture” is not actually found in the Bible. The word can refer to an experience of being carried away. Believers will be “caught up” (carried away) to meet the Lord in the air (1 Thessalonians 4:17). When I was a kid, one of my favorite toys were Transformers. There was a Transformers cartoon, and part of the theme song went, “Transformers, more than meets the eye.” “Beloved, we are God’s children now, and what we will be has not yet appeared; but we know that when he appears we shall be like him, because we shall see him as he is” (1 John 3:2). We will be transformed. There is more to us that meets the eye! Second Coming – Christ’s return to earth to defeat and judge His enemies. 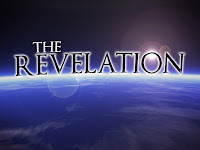 The Pretribulational View – The church will be raptured before the tribulation period. According to this view, the rapture will precede the second coming by seven years (tribulation period). Arguments for the pretribulational view: (1) the word “church” is not mentioned after Revelation 3; (2) “I will keep you from the hour of trial that is coming on the whole world” (Revelation 3:10). 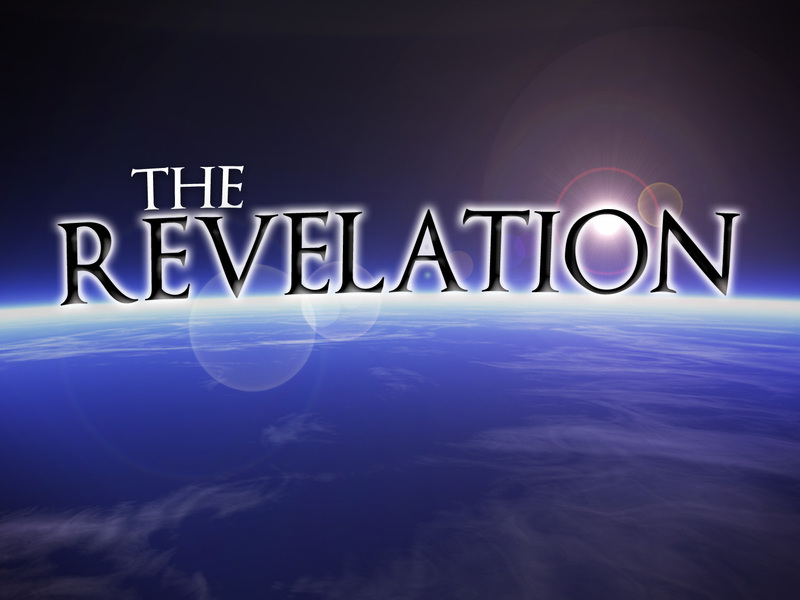 The Posttribulational View – The church will be raptured after the tribulation period. According to this view, the rapture and the second coming will happen at the same time. Arguments for the posttribulational view: (1) 1 Thessalonians 5:1-11 seems to suggest that the church will be on earth for the second coming; (2) the same words are used for the rapture and the second coming (e.g., parousia: “the coming of the Lord,” 1 Thessalonians 5:15; “the coming of the Son of Man,” Matthew 24:27). Why fight about the timing of the rapture? This is our great hope! Then I saw heaven opened, and behold, a white horse! The one sitting on it is called Faithful and True, and in righteousness he judges and makes war (v. 11). On his robe and on his thigh he has a name written, King of kings and Lord of lords (v. 16). Christ will return in a sudden, personal, visible, and bodily way. Jesus declared, “The Son of Man is coming at an hour you do not expect” (Matthew 24:44). At the ascension, the angels said to the disciples, “Men of Galilee, why do you stand looking into heaven? This Jesus, who was taken up from you into heaven, will come in the same way you saw him go into heaven” (Acts 1:11). The book of Revelation begins with the words “The revelation of Jesus Christ.” “Revelation” (apokalypsis) means “unveiling.” “Behold, he is coming with the clouds, and every eye will see him” (Revelation 1:7). If you are an unbeliever, the return of Christ is something to dread. Jesus will come “like a thief” (2 Peter 3:10). His coming will be unexpected and unwanted. He will also come as a mighty warrior (see Revelation 16:12-16, “Armageddon”). If you are a believer, the return of Christ is something to desire. “Our citizenship is in heaven, and from it we await a Savior, the Lord Jesus Christ, who will transform our lowly body to be like his glorious body” (Philippians 3:20-21). We are “waiting for our blessed hope, the appearing of the glory of our great God and Savior Jesus Christ, who gave himself for us” (Titus 2:13-14). “Christ, having been offered once to bear the sins of many, will appear a second time, not to deal with sin but to save those who are eagerly waiting for him” (Hebrews 9:28). When we’re running low on food in my house, one of the snacks I resort to is peanut butter on soda crackers. But it’s never really when I’m looking for. If I am planning on going out to eat at my favorite restaurant, I wouldn’t have a big plate of crackers and peanut butter before I left. The pursuits of this life are like peanut butter and crackers. They are nothing compared to what is to come. There are many worthy goals in life, but do you long more for earthly accomplishments or for the return of Christ? It could be said that the intensity of our longing for Christ’s return is a gauge of our love for Him. When you think about your life, do any memorable meals come to mind (first date, birthday party, family reunion, wedding reception, etc.)? Revelation 19 tells us about the most amazing meal: the marriage supper of the lamb. “Let us rejoice and exult and give him the glory, for the marriage of the Lamb has come, and his Bride has made herself ready” (v. 7). The church is the bride of Christ. “Husbands, love your wives, as Christ loved the church and gave himself up for her, that he might sanctify her, having cleansed her by the washing of water with the word, so that he might present the church to himself in splendor, without spot or wrinkle or any such thing, that she might be holy and without blemish” (Ephesians 5:25-27; cf. 2 Corinthians 11:2). Three Jewish marriage customs: (1) the betrothal (Matthew 1:18; Luke 2:5). When a man and woman were betrothed to one another, they were already considered husband and wife, though they did not yet live together. The church is betrothed to Christ, and He is preparing a place for her in heaven. (2) The procession (Matthew 25:1-13). The bride knew (thought she didn’t know exactly when) that the bridegroom would come to take her to his house. The church is waiting for Christ to come to earth for her. Jesus said, “Watch therefore, for you know neither the day nor the hour” (Matthew 24:44; cf. 25:13). (3) The feast (John 2:1-2). “Blessed are those who are invited to the marriage supper of the Lamb” (v. 9). In verse 7, the church is described as the bride. In verse 9, the church is described as invited guests. Two amazing meals with Jesus: The first amazing meal is the Last Supper. After Jesus instituted the Lord’s Supper, He said to His disciples, “I tell you I will not drink again of this fruit of the vine until that day when I drink it new with you in my Father’s kingdom” (Matthew 26:29). When would that day be? He was probably referring to the marriage supper of the Lamb. The second amazing meal is the marriage supper. In Jesus’ story of the rich man and Lazarus (Luke 16:19-30), Lazarus ate the crumbs that fell from the rich man’s table. When the two men died, the rich man went to Hades (a place of punishment), and Lazarus went to “Abraham’s side [bosom, KJV].” Some Christians believe “Abraham’s bosom” refers to an intermediate state that OT saints went to until Christ’s resurrection. Personally, I believe that “Abraham’s side/bosom” refers to the fellowship of heaven. Jesus once said, “I tell you, many will come from east and west and recline at table with Abraham, Isaac, and Jacob in the kingdom of heaven” (Matthew 8:11). In those days, people did not sit on chairs when they ate. (Leonardo da Vinci’s Last Supper is historically inaccurate.) Instead, they reclined on cushions around a low table. John refers to himself in the Gospel of John as “the one who had been reclining at table close to [Jesus]” (21:20). At the marriage supper of the Lamb, we will not only recline around the table with great saints of the past like Abraham, Moses, and David; we will sit with Jesus. We can only imagine what that will be like. Have you accepted the invitation to heaven’s celebration? “Come, I will show you the judgment of the great prostitute who is seated on many waters, with whom the kings of the earth have committed sexual immorality, and with the wine of whose sexual immorality the dwellers on earth have become drunk” (17:1-2). The woman was arrayed in purple and scarlet, and adorned with gold and jewels and pearls, holding in her hand a golden cup full of abominations and the impurities of her sexual immorality. And on her forehead was written a name of mystery: “Babylon the great, mother of prostitutes and of earth’s abominations.” And I saw the woman, drunk with the blood of the saints, the blood of the martyrs of Jesus (17:4-6). We read of the fall of ancient Babylon in the book of Daniel (“great Babylon,” 4:30). Babylon’s Symbol: The great prostitute. There is a contrast in Revelation between New Jerusalem (the city of God) and Babylon (the city of man). New Jerusalem is portrayed as a bride (21:2); Babylon is portrayed as a prostitute. Babylon’s Identity: The world opposed to God. Other interpretations of Babylon include: (1) a restoration of ancient Babylon, (2) the Roman Empire (probably party correct), (3) a revived Roman Empire, and (4) the Roman Catholic Church. “You adulterous people! Do you not know that friendship with the world is enmity with God?” (James 4:4). “Sexual immorality” (17:2, 4; 18:3, 9) should be interpreted as spiritual infidelity—in other words, idolatry (worshiping what is not worthy of worship). Babylon’s Enticements: possessions, power, and pleasure. “All nations have drunk the wine of the passion of her sexual immorality, and the kings of the earth have committed immorality with her, and the merchants of the earth have grown rich from the power of her luxurious living” (18:3). The intoxicated mind thinks that the world’s enticements will someday satisfy. “Fallen, fallen is Babylon the great!” (18:2). “Alas! Alas! You great city, you mighty city, Babylon! For in a single hour your judgment has come” (18:10; cf. 18:16-17, 19). “Hallelujah! The smoke from her goes up forever and ever” (19:3). “Come out of her, my people” (18:4). The sober mind knows that the world’s enticements will one day pass away. “Do not love the world or the things in the world. If anyone loves the world, the love of the Father is not in him. For all that is in the world—the desires of the flesh and the desires of the eyes and pride in possessions—is not from the Father but is from the world. And the world is passing away along with its desires, but whoever does the will of God abides forever” (1 John 2:15-17). Jesus: “I do not ask that you take them out of the world, but that you keep them from the evil one. They are not of the world, just as I am not of the world” (John 17:15-16). We are in the world but not of the world.